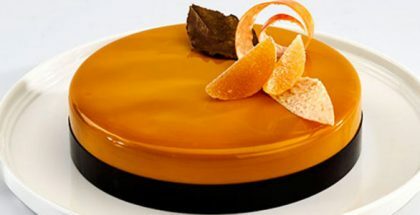 Spain, France, Australia, Italy, Hong Kong, Japan, Albania, the USA, Bulgaria, Thailand, Greece, China, United Arab Emirates, Czech Republic, Switzerland, Romania, Mexico, Morocco, Bolivia, and Tunisia are the 20 countries Invited to participate in the Second World Trophy of Pastry, Ice Cream, and Chocolate, although it will most likely be 16 that will finally compete. Each team, consisting of three competitors and a coach, will have to demonstrate their skills in the disciplines of chocolate and praline sculpture, sugar sculpture and modern cake, and pastillage sugar sculpture and a single ice cream portion, on the theme ” Discovering the World of Chocolate and Coffee”. 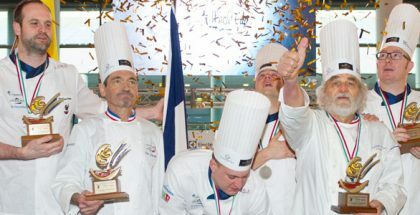 The second edition of this competition, organized by the FIPGC (International Federation of Pastry, Ice Cream and Chocolate), which will take place on 21 and 22 October at Host Fiera Milano, “continues the search for the best pastry chefs around the world that bring mastery, technique and the tradition of their respective countries”, declares the president of the Federation, Roberto Lestani.